EXARC made a new publicity folder and printed 2,000 copies. It is described what EXARC is, including its recent ICOM affiliation. 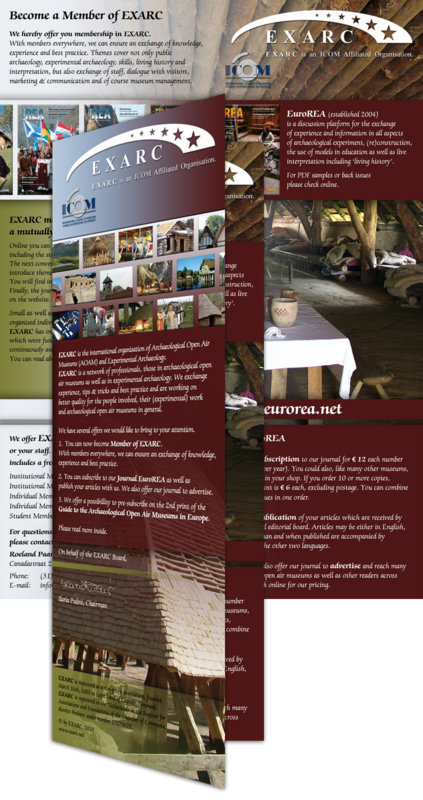 It explains the network EXARC forms of professionals in archaeological open-air museums and in experimental archaeology. Several offers are brought to attention like becoming a member and subscribing to our journal. The folder was sent to all archaeological open-air museums in Europe we know of (250) as well as to those in the States (150). The pricing of our offers is in Euro, Dollar and Pound.